He is the Founder, Chairman & Managing Director of Global Group of Hospitals. He is an internationally well-known liver transplant surgeon trained in Surgical Gastroenterology in the UK. A medical graduate from Sri Venkateshwara Medical College, Tirupati, Andhra Pradesh and MS (General Surgery) from Madras University, he is a Fellow of the Royal College of Surgeons (Glasgow & Edinburgh). An accomplished and most sought after surgeon in India and abroad,he has inspired several surgeons and medical experts and transformed his unitary hospital into a group of hospitals in four metros in India, namely Hyderabad, Chennai, Bangalore and Mumbai. Other metros like Kolkata and Bhubaneswar are also on the radar. Under his leadership, Global Group of hospitals have won 2 prestigious awards in the Annual Leadership Conclave: India’s Most Valuable Healthcare Chain, 2013 and Business Leader of the Year, 2013..He has given dedicated support to the cause of this foundation from its inception. He is the Founder President of GMERF. He appreciates the importance of academics and research in health care and supports us in all our endeavors. 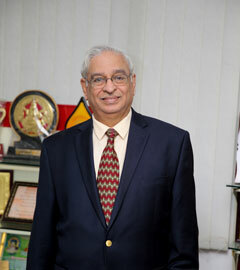 Professor P. Rama Rao, presently Chairman of the Governing Council, ARCI, Hyderabad, is a Ph.D. in Physics-Metallurgy from Banaras Hindu University, Varanasi, India. He was a post-doc at the University of Pennsylvania and a lecturer in the Department of Metallurgy at the Indian Institute of Science, Bangalore. 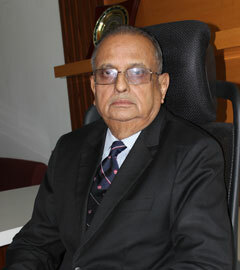 He moved to BHU in 1962 as a Lecturer and a Professor of Physical Metallurgy. 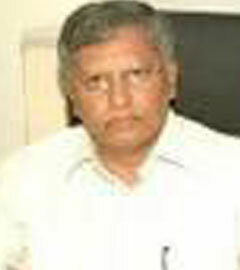 He was appointed Secretary to Government of India, Department of Science and Technology. He was also the Secretary of Department of Ocean Development. He has served as Chairman at the Atomic Energy Regulatory Board, Director of Defence Metallurgical Research Laboratory (DMRL), Hyderabad and Vice-Chancellor of University of Hyderabad. He was appointed a Member of the Atomic Energy Commission and awarded a distinguished Professorship by the Indian Space Research Organisation. A recipient of several coveted scientific and professional awards from international bodies and societies, he is the author of about 240 research publications and has been conferred Padma Vibhushan title by the President of India. He is an internationally well-known pathologist from AIIMS, New Delhi. He is one of the few experts in ocular pathology (RP Centre, AIIMS) in the country. 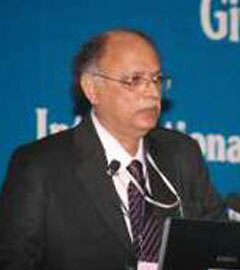 He is a former Dean at Nizam's Institute of Medical Sciences, Hyderabad. He is the Director of Academics and Research at Global Hospitals and Vice President of this foundation. He is the inspiration and backbone of GMERF. His passion for medical research and conviction and enthusiasm drives the foundation. 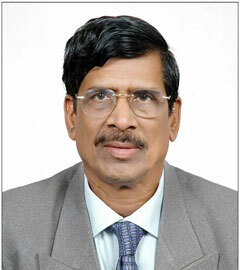 He is the former Director of the National Institute of Nutrition, Hyderabad (Indian Council of Medical Research). He has an MBBS degree from Stanley Medical College, Chennai and an MD in Pathology from Gandhi Medical College, Hyderabad. Before assuming charge as the Director of NIN, he was the Coordinator for the Pre-clinical Toxicology unit at the institute. He has helped in setting up several Toxicology labs in Government as well as in Industrial sectors. In addition, he is a well-known diagnostic pathologist in Andhra Pradesh. He served as Secretary at Indian Association of Pathologists & Microbiologists of AP and Joint Secretary for Nutrition Society of India. He is a Fellow of the AP Academy of Sciences, National Academy of Medical Sciences and International Medical Scientists Academy. He has guided many PhDs, MD and students. He is a world-renowned radiologist and is an M.S. in Radiology at New York University of Post Graduate Medical School, New York. 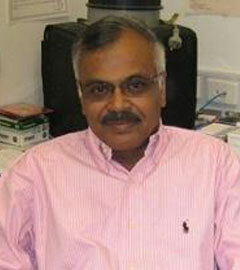 He worked as Professor of Radiology in Osmania Medical College and New York College of Pediatric Medicine. He is a Fellow of Royal College of Radiologists, U.K, American College of International Physician and American College of Radiology. He was a professor of Radiology at Albert Einstein College of Medicine, New York. 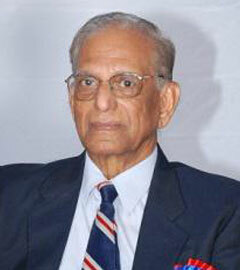 He is the founder Director of the the Nizam's Institute of Medical Science, Hyderabad. He was the Chairman of Medwin Hospitals, Hyderabad and Sri Venkatateswara Institute of Medical Sciences, Tirupati. 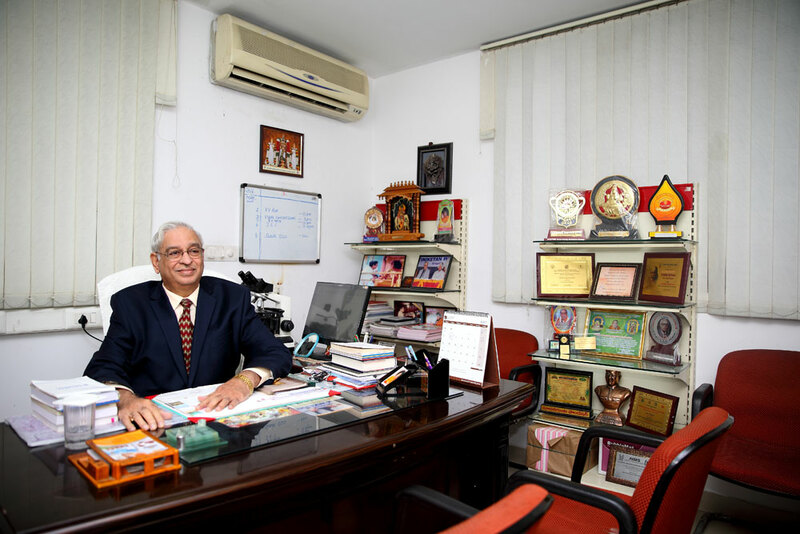 He had been the Chairman for the Indian College of Radiology and Imaging and National President of Indian Radiological and Imaging Association. He has started Continuous Medical Education programs and conducted more than 400 throughout the country. These services have culminated in his getting the award of "Radiologist of the Millennium" at the 53rd Annual Congress of Indian Radiological and Imaging Association held at Bhopal. The Government of India has also felicitated him with a Padmasri for his selfless services rendered to the nation in the field of Medicine. He was conferred "Doctor of Medicine" (HON) by N.T.R. University, Vijayawada (2003). 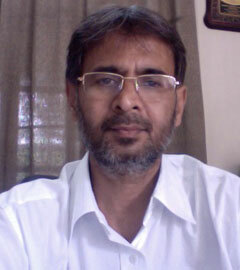 He holds a PhD degree in Chemistry from Banaras Hindu University, India. He worked at IIT Madras as Research Associate and as a JSPS post-doctoral fellow at the University of Tokyo and subsequently became an Assistant Professor in the same University. He joined International Advanced Research Centre for Powder Metallurgy and New Materials (ARCI) in Hyderabad, India as senior scientist. Presently he is a Scientist and Head of Centre at Nanomaterials at ARCI. He is also guest faculty at IIT Hyderabad and University of Hyderabad. 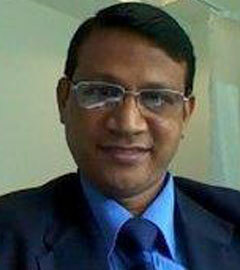 He is a recipient of Material Research Society of India (MRSI) medal. He is a recipient of FAPCCI Excellence Award for contribution as an “outstanding scientist or Engineer for the benefit of industry, trade or Agriculture” from Government of Andhra Pradesh. He is a Fellow of the Indian Academy of Sciences, Bangalore. 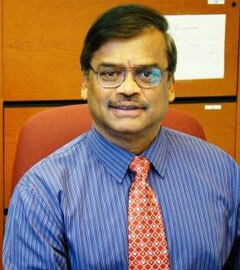 After obtaining a PhD from Osmania University he pursued his post-doctoral work in genetics at Iowa State University and Johns Hopkins University. He then joined the faculty of the University of Hyderabad and has been at the university. He was appointed as the first vice-chancellor of Yogi Vemana University, Kadappa, Andhra Pradesh. He is member of the Review Committee on Genetic Manipulation of the Department of Biotechnology, Ministry of Science and Technology, India. He is a Science Panel member at the Department for International Development/ Biotechnology and Biological Sciences Research Council (DFID/BBSRC) of the UK Government. He is a member of the Core Committee of the European Area Network, ERANET Genomics (Forward Looking Activity in Plant Genomics: Challenges for the 21st century). She is the former Director Institute of Science & Technology (Autonomous) and Professor in Center for Bio- Technology, at Jawaharlal Nehru Technology University, Hyderabad. 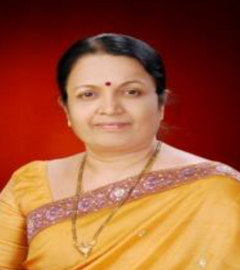 She is a life member of Indian Society for Analytical Chemists and the Society for Biological Chemists. She has authored several research publications, reviews and guided doctoral students. He is a Professor, Head of the Biochemistry Department and Chairman of Board of Studies, University College of Science, Osmania University. He did His Post-Doctoral Research in New York State Institute for Basic Research in Developmental Disabilities, Staten Island, New York. He has been awarded Young Investigator Award from American Society for Neurochemistry, in March 1995. He has been Coordinator at DST- FIST, Program.Coordinator at UGC-SAP-DRS-II, Chairman at BoS in Biochemistry, Honorary Scientific Advisor to Neozene Bio Sciences (P) Ltd, Hyderabad and Member at ISBC Sudershan Biotech Ltd. Hyderabad. He is the head of Molecular Diagnostics & Biomarkers laboratory, GMERF. He has an M. Sc degree in Clinical Biochemistry from JIPMER, Pondicherry and a PhD in Microbial Biochemistry (Experimental Tuberculosis) at University of Hull, England. He has done Post-Doctoral research in “Molecular Diagnostics for Tuberculosis” in the Department of Tropical Public Health at Harvard School of Public Health, Boston, USA. 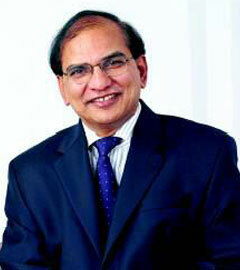 He has worked in the top management of leading pharmaceutical companies in India where he established Biotechnology R&D. He has more than three decades (35 years) of teaching, research and industrial experience. 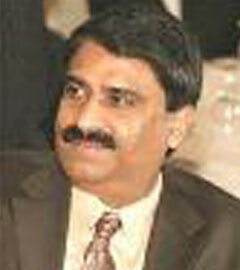 Dr. M. Venkat Reddy is an Advisor to NATCO Pharma Ltd., Hyderabad. He is a former Director of Drugs Control Administration, Hyderabad. PCI member and member of other statutory bodies. He is a well-known academician, industrialist and renowned person in the field of pharmacy and takes very active role in inspiring the budding pharmacos to build their careers. He is an adviser for GATE FORUM, a GATE Coaching Academy and also organizing a short term Pharma industry-oriented course for pharmacy graduates and post graduates with the help of NATCO Pharma Limited in the name of Hi-Tech Institute of Advanced Pharmaceutical Sciences in Hyderabad. He is a former Joint Drug Controller in Andhra Pradesh and a member of Pharmacy Council of India. He is actively involved in value added human resource development in pharmaceutical industry and is the Director of Sree Datta College of Pharmacy, Ibrahimpatnam. He is an Honorary Fellow of Applied Zoologists Research Association (AZRA). He is also the Founder Director of National Institute of Animal Biotechnology, Department of Bioctechnology for Govt. of India. He is a Vising Fellow at Johns Hopkins University, USA and Humboldt University, Berlin. He is the Former Head of Department of Animal Sciences and Coordinator at Centre for Biotechnology, University of Hyderabad. He is an Exchange Visitor and “The Rockefeller Foundation Biotechnology Career” Awardee at Penn State University, USA. He has served at Ministry of Education & Culture, Govt. of India. He has received Overseas Post-doctoral Fellowship. 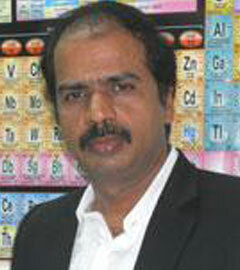 He is a Recipient of FAPCCI “Outstanding Scientist 2007” for University and Industry interactions. He has received Chemtech Foundation's “Pharmabio Excellence Award”. He is currently the Dean of School of Life Sciences, University of Hyderabad. He is a Senior Consultant of Minimal Access, General and GI Surgery & Medical Director at Global Hospital and Healthcare. He has also worked at Columbia Asia Hospital, Patiala. He pursued his education at Strasbourg University, France- EITS. Dr. GVS Murthy work revolves around improving global health and fostering international partnerships to improve health status of populations. 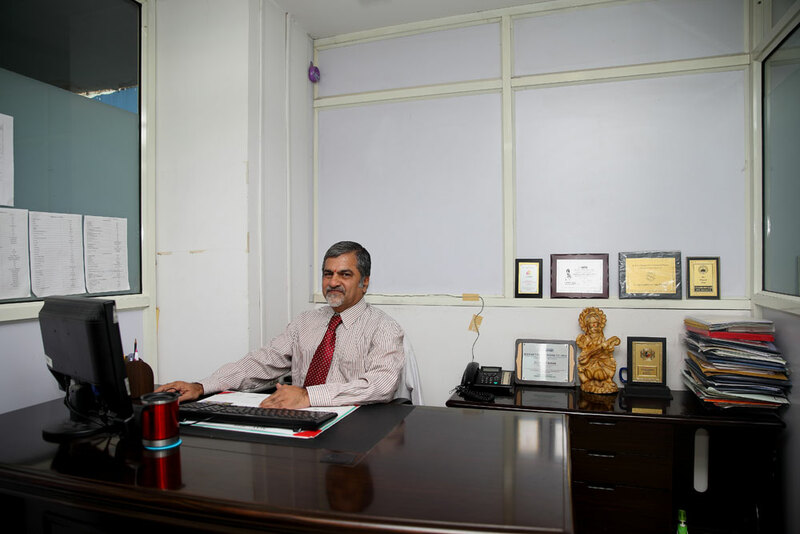 The first Community Ophthalmology Department was established by him at Dr.R.P.Centre for Ophthalmic Sciences, AIIMS till he demitted office in 2010. In 2010 established the LSHTM Overseas Centre of Excellence (The South Asia Centre for Disability Inclusive Development & Research) at Hyderabad, India as a collaborative project between LSHTM-PHFI. 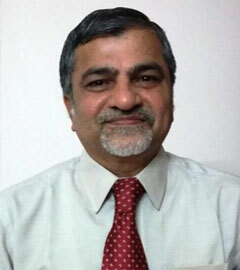 He was an expert with WHO, Geneva on the Childhood Blindness Program and UNAIDS Consultant with National Aids Control Organization (NACO.He coordinated several international research projects.He is a member of the Queen Elizabeth Diamond Jubilee Trust’s Scientific Advisory Committee, National Task Force on DR and ROP, Optometry Council of India, IAPB DR Technical Advisory Committee. 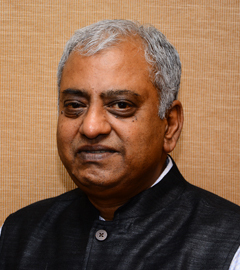 He has nearly 300 publications and he serves on the editorial board of several Indian and international journals. Prof. A. Jyothy, PhD, retired as The Director, Institute of Genetics, Osmania University after nearly 30 years of teaching and research. 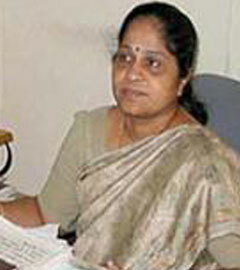 She has conducted several programs to promote the health of the women and children especially in rural areas & slums.She is an expert in inborn errors of metabolism, Cytogenetics, Mental Retardation, Cardio vascular disorders, Diabetes, Stroke, Osteoporosis, COPD and Genotoxicity in Occupational & Environmental hazards.She has published over 181 research articles in national and international journals and guided several students for PhD and other research projects.She is a recipient of several prestigious awards; she is a member of several national and international scientific organisations. He is a Faculty of Health Sciences at Curtin University, Australia. He is a Professor and Co-ordinator of South Asia Research Initiatives for the School of Biomedical Sciences. He was a Professor in the School of Anatomy and Human Biology, University of Western Australia, Perth since 2001. He is a postgraduate in Human Physiology from JIPMER, Puducherry and PhD from Educated at the University of Madras, India and the University of Western Australia, Perth, Australia. He has received post-doctoral training at Johns Hopkins University School of Medicine, Baltimore, USA. On completion of his post-doctoral training, he was appointed as an instructor in the department of Gynecology and Obstetrics and subsequently was promoted to Assistant and Associate Professor in the same department. He holds a Master's degree, Faculty of Medicine from JIPMER (University of Madras).and a PhD in Biochemistry and Molecular Biology from the Australian National University. He has been a principal scientist & Head of Radio pharmaceutical Science at West Mead Hospital and The Children's Hospital at West Mead, Sydney, Australia. Consultant Scientific Expert in Nuclear Medicine NAPC, International Atomic Energy Agency President, ANZSNM (Australia New Zealand Society of Nuclear Medicine) Treasurer, WFNMB (World Federation of Nuclear Medicine & Biology) Recipient of Australian Nuclear Science & Technology Organization (ANSTO) Award for significant innovation in research & clinical practice in the field of Nuclear Medicine. He is a recipient of Lifetime Achievement Award in Nuclear Med in 2011, conferred by the Society of Nuclear Medicine, India. 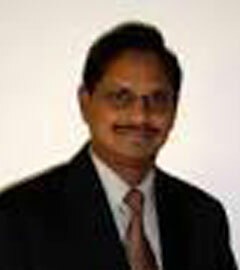 Member of Board of Directors at ISORBE [International Soc of Radio- labeled Blood Elements]; Editorial Board Member for World J of Nuclear Medicine and Biology; Track Chair Ninth World Congress of Nuclear Medicine and Biology, Seoul 2006; Track Chair Tenth World Congress of Nuclear Medicine and Biology, Cape Town 2010. Steering Committee member for organizing iPET-II conference in IAEA, Vienna (Nov 2011).Steering committee member for establishing “Future trends in Nuclear Medicine” by IAEA, Vienna. Scientific Secretary for Regional African Conference under IAEA- RAF-2008 ProgramSecretary for WFNMB (World Federation of Nuclear Medicine & Biology) - bid committee Secretary, International Relationship Committee, for ANZSNM. He holds an M.Sc. from Jawaharlal Institute of Post-Graduate Medical Education and Research, Pudhucherry, India. He has a PhD on Vaccinia virus immunobiology from All-India Institute of Medical Sciences in New Delhi, India. He has Postdoctoral experience and has held positions at the Cancer Research Group at McMaster University in Hamilton and the Department of Comparative and Experimental Pathology at the University of Florida in Gainesville. An award-winning teacher, he was appointed as Assistant Professor in the Department of Microbiology, Molecular Genetics and Immunology at the University of Kansas Medical Center. He joined the Department of Microbiology and Immunology at Rosalind Franklin University of Medicine and Science and continues as Professor and Chair.Member of task forces in NIH, He has worked in the editorial board of several reputed journals and author of heavily cited research papers in virology. He is the Director of Translational Research and Associate Professor of Anesthesiology at Stony Brook Medical Center, Stony Brook, NY, USA. He has a doctorate from Sri Venkateshwara University. He pursued his Post-Doctoral research work at University of Mississippi Medical Center, Jackson, MS. He is the founder Director of Science and Research Awareness Series (SARAS) in the United States and has been very successfully hosting this program for the past 13 years. He has a passion for teaching and training very young students. GMERF will be launching this program as “SARAS-India” for the benefit of young students (11th and 12 standards) with his guidance and support.